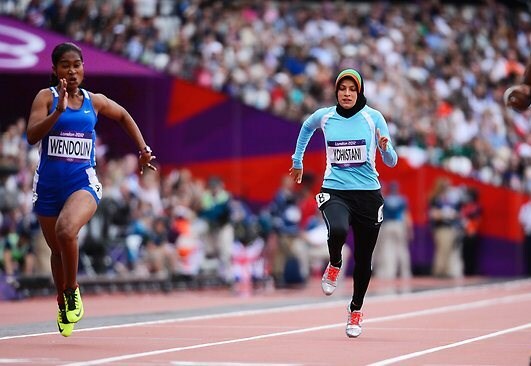 You would think that if you checked your Facebook page just before your big race in the Olympics that you would find all kinds of encouragement from your fellow countrymen… but what Tahmina Kohistani found was hate messages. As the first ever woman to compete in the Olympics from Afghanistan, she felt terrific pressure to “go home like an Islamic woman should.” But she fulfilled her dream, not just for herself, but the many women of her country who don’t want to be kept from whatever they want to do just because they are girls. In preparing this blog, we did the usual research, but one report in the Washington Post by Mike Wise is so powerfully written we simply direct you to it, then come back and look a short video of her courageous and historic sprint for girls throughout the globe. Read this article, see if you weep, then return to check out her video below.